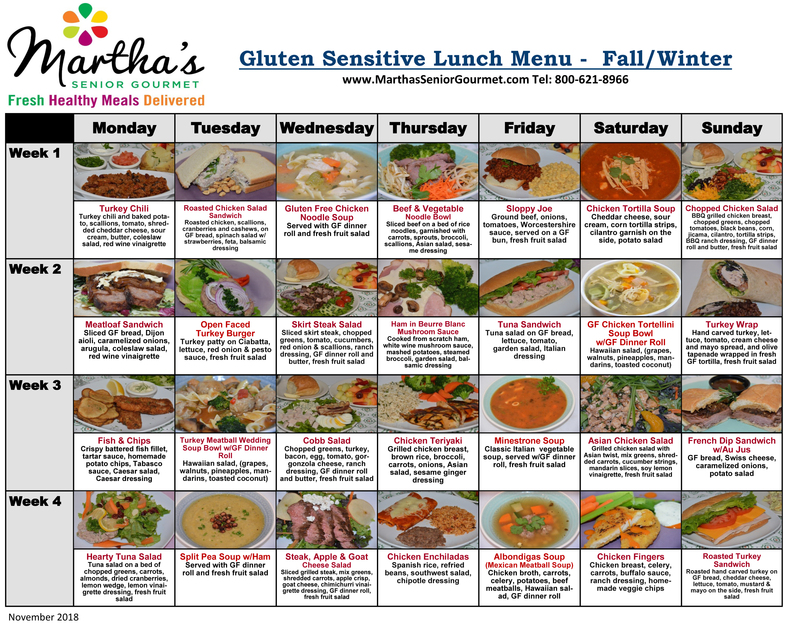 Martha’s Senior Gourmet’s gluten-free diet is a diet that excludes foods containing gluten. Gluten is a protein found in wheat (including kamut and spelt), barley, rye, malts, and triticale. It is used as a food additive in the form of a flavoring, stabilizing, or thickening agent, often as "dextrin". A gluten-free diet is the only medically accepted treatment for celiac disease, the related condition dermatitis herpetiformis, and wheat allergy, and gluten sensitivity. In the United States, the FDA considers foods containing less than or equal to 20 ppm to be gluten-free, but there is no regulation or law in the U.S. for labeling foods as 'gluten-free'. The finding of a current study indicates that some inherently gluten-free grains, seed, and flours not labeled gluten-free are contaminated with gluten. The consumption of these products can lead to inadvertent gluten intake. and nut flours are used in gluten-free products to add protein and dietary fiber. 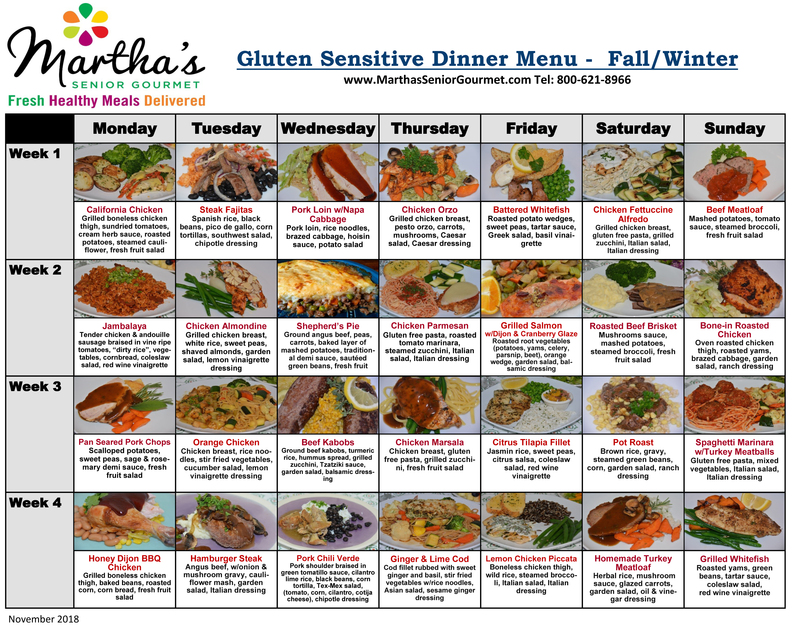 Martha’s gluten-free diet utilizes fresh fruits, vegetables, meats, fish and dairy products. We use rice, corn, soy, potato, tapioca, beans, quinoa, millet, pure buckwheat, arrowroot, amaranth, and nut flours and we eliminate the use of wheat, barley, rye, and related components, including triticale, durum, graham, kamut, semolina, spelt, malt, malt flavoring, or malt vinegar. Although our kitchen is not a gluten free dedicated kitchen, we take extra care to control cross contamination. However, we cannot guarantee 100% exclusion, so if your allergy is severe or if your intolerance level is high we may not be a suitable solution.